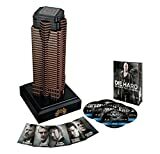 The cool new Nakatomi Plaza Die Hard Blu-Ray Collection puts all the Die Hard films (good and bad), including the unrated cuts, in one action-packed Blu-Ray collection housed inside a magnificent 15" tall scale model replica of the Nakatomi Plaza skyscraper from the first film. It also includes a bonus disc with in-depth featurettes, 5 collectible villain cards, and a 32-page behind-the-scenes booklet. 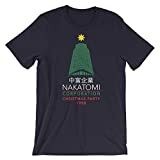 The first two Die Hards make great Christmas movies and this collection also makes an incredible gift for any Die Hard fan. The only downside is finding a spot big enough to show it off properly. YIPPEE KI YAY!